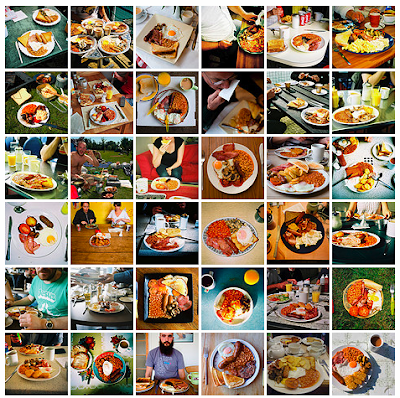 Here it is, served up English-style on Flickr. The Jim Henson-created characters may be on their way back thanks to a new Disney Film. In the movie, written by...Jason Segel, the Muppets reunite to save their studio with one last variety show. 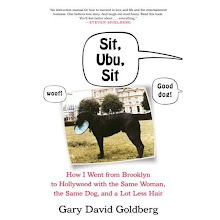 Should the film go well, it opens up the possibility of a television programme, also written by 28-year-old Segel. Variety elaborates on how the writer/actor lined up the gig. In “[Forgetting] Sarah Marshall” Segel’s character writes a “Dracula” musical performed by puppets. Those cloth creatures were custom-made by the Henson puppeteers, and the experience emboldened Segel to pitch his concept for a Muppets movie when he was invited in for a general meeting with exec Kristin Burr. Segel got a deal in the room and enlisted [Nick] Stoller to co-write and direct the project. Fingers are crossed this project gets done and done right. No word on when production might get underway or when the movie could hit theaters. In the meantime, watch Statler and Waldorf as they bring their balcony curmudgeonliness to the Internet: below, here and here. NBC is getting into the holiday spirit with “Letters to Santa -- A Muppets Christmas.” Whoopi Goldberg, “The Sopranos” alums Tony Sirico and Steve Schirripa, “Harry Potter” regular Richard Griffiths and Madison Pettis are set to star in the special alongside Kermit, Fozzie, Gonzo, Miss Piggy and the rest of the muppets gang. “Letters” is set on Christmas Eve when Kermit and company mistakenly avert three letters en route to Santa Claus, which triggers a race against time to bring a happy Christmas to the kids whose wishes were lost in the mail. But why would Disney, which owns both ABC and the Muppets, sell this to NBC? Why, Bob Iger, why? MUPPDATE: The New York Times on the planned comeback: “[T]his time the Muppets are getting the “Hannah Montana” treatment, being blasted into every pop-culture nook and cranny that the company owns or can dream up.” The Hannah Montana treatment? Uh-oh. Well, at least Statler & Waldorf are weighing in on the Presidential debates. Harrumph. Introducing a new, periodic featurette entitled: “They're related?” It’s a quick connect-the-dots to show how two or more public figures are related. For the inaugural posting, meet Alan Greenspan and Andrea Mitchell, husband and wife. She’s the Chief Foreign Affairs Correspondent for NBC News (and survivor of a RNC balloon avalanche). He’s the former Chairman of the Federal Reserve Board. The two were married in 1997 by Supreme Court Justice Ruth Bader Ginsburg. Read their wedding announcement in The New York Times here. Buried at the end of the article are some interesting details about the usually taciturn Greenspan: He studied at the Juilliard School and plays the clarinet and saxophone. Sarah Schmelling recently wrote a terribly clever and funny piece for McSweeney’s, condensing Shakespeare’s tragic story about the Prince of Denmark into a series of status updates, apps and group memberships. Read the rest here. For more literal, and funny, takes on Facebook utilities, check out this video from The Idiots of Ants on BBC. For more rottenness in Denmark, there’s Hamlet 2. So Sesame Street is gearing up for its 39th season, which starts on August 11. (Who knew the show even had a season, right?) And from the looks of this trailer – who knew it had trailers? – it’s going to be a very clever, entertaining and fresh season. (This blogger’s optimism might just be a side effect of the detritus passing as “original” and margin-managed programming this summer.) Accordin g to its press kit – who knew it had a press kit? – this season will feature: Will Arnett, Feist, Jessica Alba, David Beckham, Heidi Klum, Brian Williams, Neil Patrick Harris, Sandra Oh, Jack Black and Jenny McCarthy. Also lined up is a parody of NBC sitcom 30 Rock entitled: 30 Rocks. Its leading lady? A lemon named Liz Lemon. There’s a game-show spoof called: Are You Smarter Than an Egg Layer? (Its host looks a lot like this guy.) And beating the Disney Channel at its own game, there’s – wait for it, wait for it – Pre-School Musical. Rounding out the offering, the Children’s Television Workshop is debuting a redesigned sesamestreet.org on August 11 as well. Seeing all these chipper muppets twisting pop culture into something fun and useful, makes this blogger wonder if it’s time to bring back The Muppet Show in some shape or form. Probably not a full 22-episode season. Maybe just a 30-minute episode once or twice a month – to keep the content sharp and the concept special. The property is owned by Disney, which has plenty of broadcast and rebroadcast outlets – its namesake channel, ABC or even ABC Family. Think about it, Bob Iger. Just think about it. Artist Joshua Allen Harris turns plastic bags and subway ventilation into delightfully animated street art. New York magazine tracks down Harris in the well-executed video piece below. A cursory Internet search doesn't yield any gallery affiliation for Harris. (Are you paying attention, Marianne Boesky?) But work like this deserves a much bigger, er, platform. And last month, Conan O'Brien got into the inflatable act, albeit for more commercial – and comedic – purposes. Supposedly, the owners of 30 Rockefeller Center won't put his name on the marquee. So he borrows a tactic from car dealers around the country. 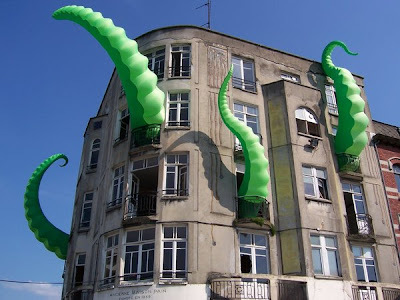 And somewhere in France inflatable tentacles are emerging from a building, courtesy of Filthy Luker and Pedro Estrellas. So Weezer packed their latest video with some of the Internet’s biggest memes. Making the greatest hits list are: Diet Coke & Mentos, the Numa Numa kid, Chris “Leave Britney Alone” Crocker, Dramatic Chipmunk, Will It Blend?, Chocolate Rain, the Evolution of Dance shoe-obsessed Kelly and even “All your bases are belong to us.” Matthew Cullen of Motion Theory directed this video equivalent of a stuffed burrito. And Weezer has posted some super-casual behind-the-scenes clips on its YouTube page. UPDATE: In an oddly unsportsmanlike move, Weezer's official YouTube channel disabled the embed function for this video. Talk about a meta buzzkiller.